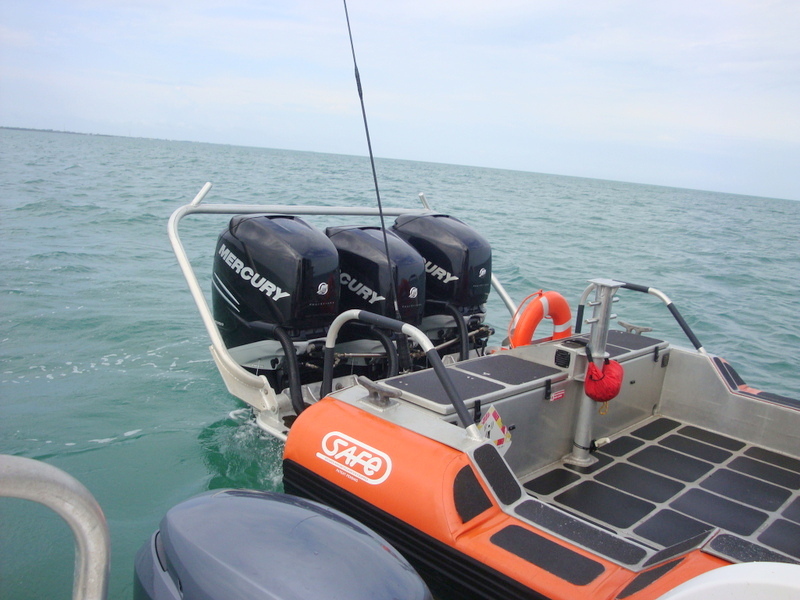 The other thing they have so right in Florida is boat safety, during Dave Harris last trip we were stopped at sea and had a compulsory safety check carried out. It all starts in Florida with boat registration where your boat is taxed mine is $49 a year then you have to observe the weight limit for passengers and the horsepower rating for the boat as well. You are also given a sett of numbers which have to be at least 3 in high and in a colour that contrast to your boat hull. 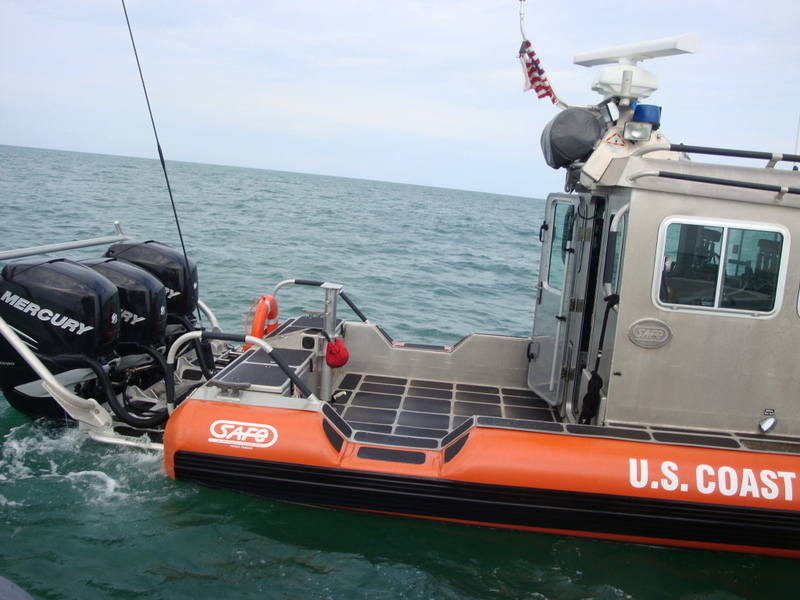 The last stop was quite an exciting event for all the Coastguard boat was one of their 33 ft Law Enforcement Specials. We were doing about 30 mph and he came in very quickly in fact the captain said it is the fastest boat in the Marathon and the three 350 hp motors did not sound like standard enough said. All the guys on the Coastguard boat were more than friendly and even gave us permission to take photos of their boat but no personal. I am stopped about twice a year they are just doing their job but I think I am a soft target I have always been a nut about safety and always have more gear than I need. 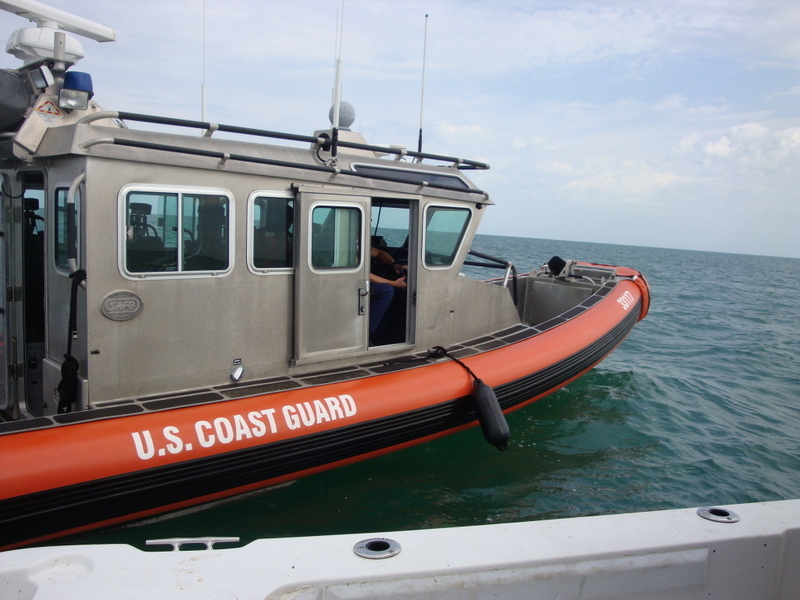 I still love the first question ” any guns aboard ” they have to ask this before they board you as many boats in Florida carry guns it is part of the culture but not on my boat then the guys carry out the safety check. A boat of my size must have the safety gear for its length and all must be in good condition and in date and working as below. It makes you wonder how many lives might have been saved in the UK if we had similar rules and regs over here. Well we pasted the safety check with flying colours then we had a quick chat about fishing, nearly every one in the Keys fishes then they powered away to go and catch the bad guys. We dont have any GT’s in the Florida Keys we haves lots of his first cousin the Jack Crevalle. 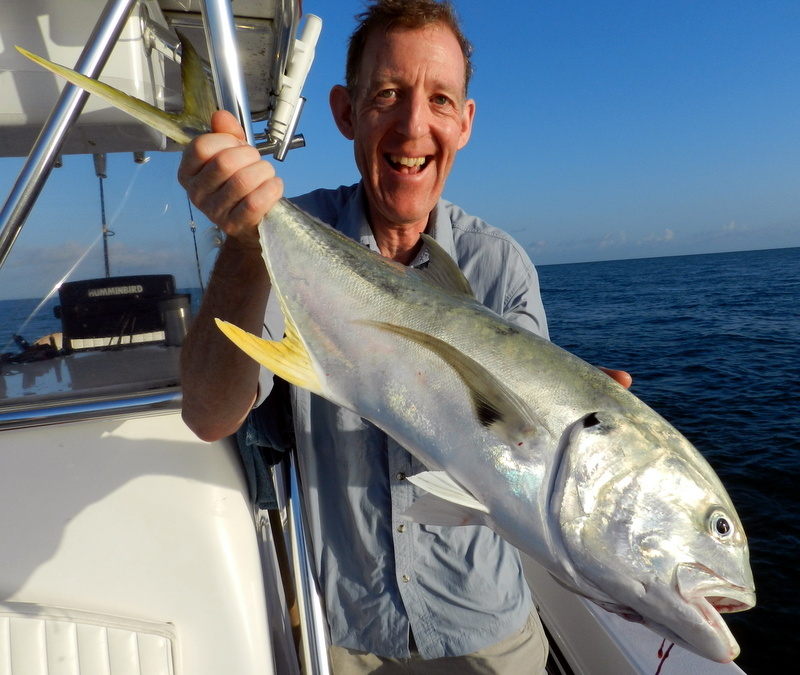 We have had some very special days with these fish and looking back at over 15 years fishing in the Keys I can not think of a time when jacks did not take if you saw them a true killing machine. One day a few years ago while tarpon fishing at Bahia Honda a shoal of well over 100 fish were turning the water into foam talk about shooting fish in a bucket anything you threw was nailed. 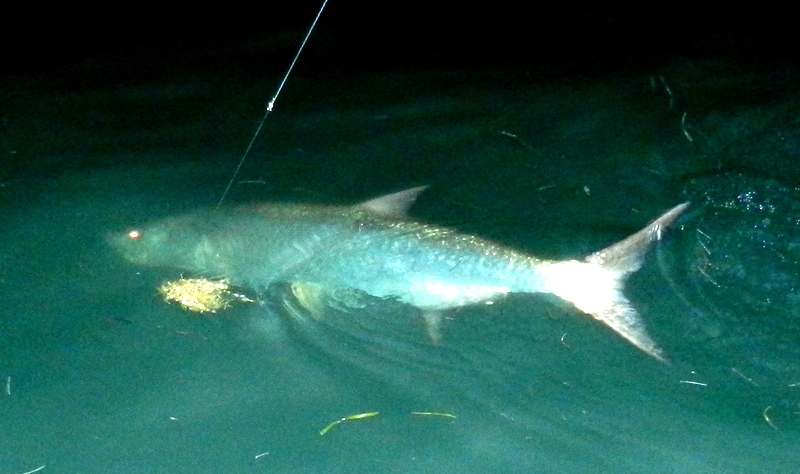 So much so guys were casting away from the fish with poppers just to watch packs surf to hit the lures cool or what. Many a morning after tarpon at seven mile the guys like to run a pin fish back from the bridge and many times it is hit by a jack and what a fight they never give up even by the boat the rod is just banging. On Rodney and George’s last trip we had fun with the jacks at the bridge just look at the smile on George’s face enough said. On the food front the flesh is very dark and you have to cut away the dark muscle but not a bad taste just a strange colour however if you smoke them they taste just like kippers but no bones very good indeed. 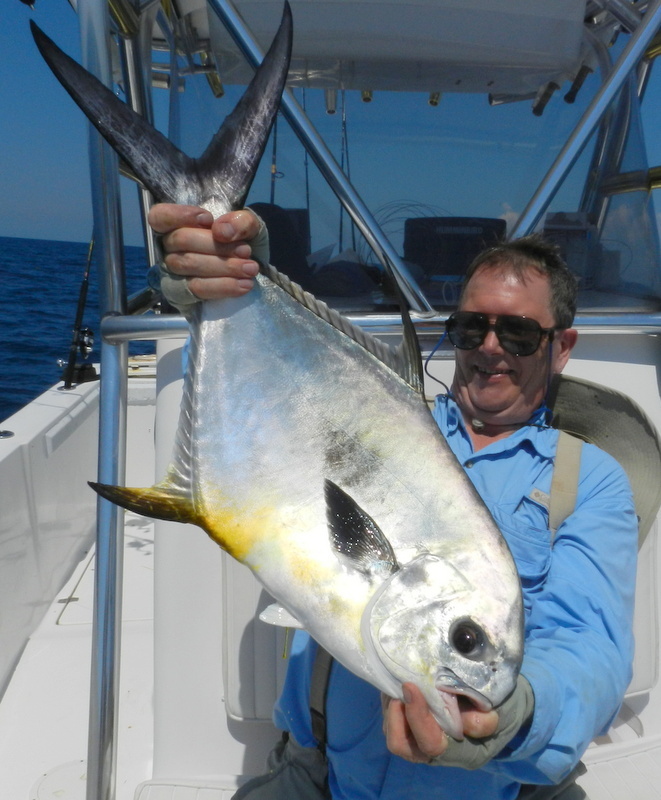 George also had this fine African Pompano, also a jack, deep in the bay why they have the streamer fins in the bay I have no idea we have now had a few on this one wreck not sure why but it is also the only wreck in the bay with large barracuda. When we get back and if the water is ok we are going out with a diver and the Go Pro to get some cool underwater videos of these wrecks just want to see how big the grouper go. Video clip my big fish buddy Lee showing you can catch grouper over 100 lbs on a spinning reel just need a Lee on the other end of the rod. In Florida in recent years we have a lot of species which are under control by slot size limits. Why because it works and why does it work well most if not all large fish of any species are female and what do large female fish have inside them yes hundreds of thousands of eggs. All those large female fish have spent a long time getting to that size and to me it seems rather silly for sport fishermen to kill them as they are the provider of our future sport. Dont get me wrong I love to eat fish in fact some weeks in the Florida Keys I will eat fish 5 days a week as do a lot of guys on our fishing holidays. Take for instance our spotted sea-trout for a long time numbers were low so the powers put this fish on a slot limit and a close season. You could only take 4 a day and they had to be between 15 and 20 in but just to cover the fish of a life time you were allowed one just, one to be over 20 in. This method of control worked so well and numbers have recovered to the point that the closed season has been lifted, nice to have something back for once not all one way. 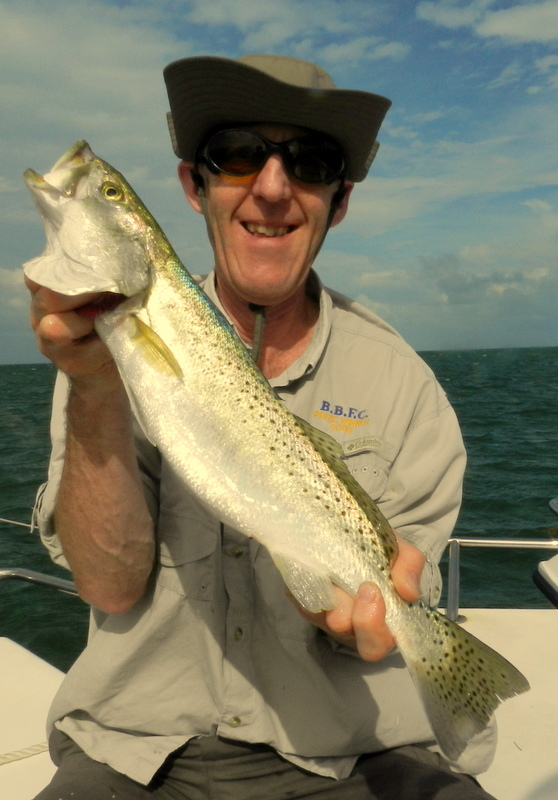 On Rodney and George’s last trip we had a blast with these fish on a very windy day the sea-trout came to the rescue. We found some shelter on the lee of a grass bank and not a lot stops these fish feeding and matching the hatch to the catch on very light gear we had a fun day. The flesh of these fish is nothing like are sea-trout in the UK more like whiting than trout, fine white meat and fried very good indeed. So would the slot limit work in the UK putting large 20-year-old bass back to spawn, I personally think it would much better than looking after just the small fish which are all male, just my opinion by the way. 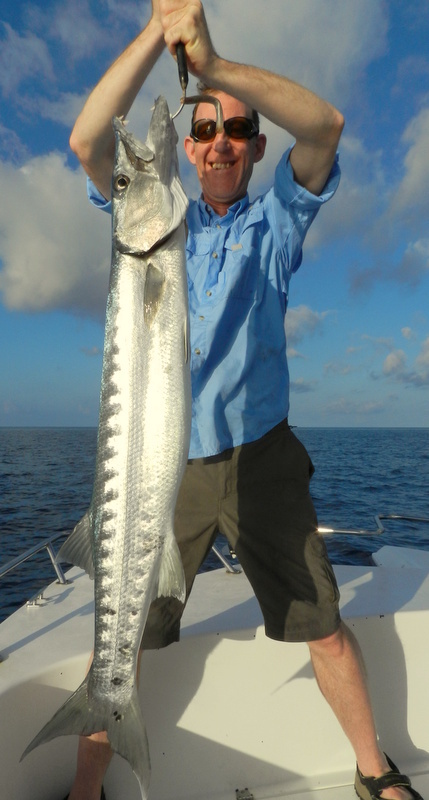 There is one fish out here in the Florida keys that is also very high on people’s wish list on our fishing holidays that is a big barracuda. Well most weeks we seem to be able to tick the box and some guys are very lucky and tick the box with some very big ones indeed. Cuda in the Keys are found everywhere from canals, flats, open water but the big ones always seem to like the wrecks we now have a stunning barracuda wreck in the bay. The other day with Rodney and George we were on the old seven mile wrecks after permit when the boat was in the middle of a pack of very hungry and bad barras. As a top predator they have it all a sett of teeth just designed for catching fish, the front ones long and spaced out to grab and hold, the back ones cut as fine as a surgeon’s knife. Most times once they have been hooked they jump and I over the years of fishing in the Florida Keys have seen them jump over 20 ft and one last year jumped into the boat. Back to Rodney and George’s day the plan had been to sit at anchor and wait for passing permit and have some fun with the big blue runners and snapper that also like the wrecks. The cuda had a very different idea a boat at anchor was a dinner bell and very few fish made it into the boat and at one stage fish were right under the boat just waiting for lunch. 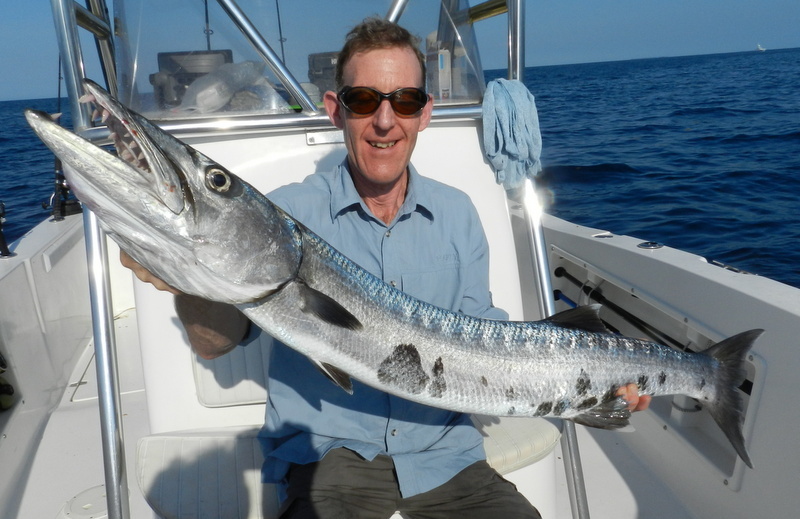 So what to do well as I often say you can only catch what is there so live bait on and in no time cuda on as it is such a good bait we kept just one. 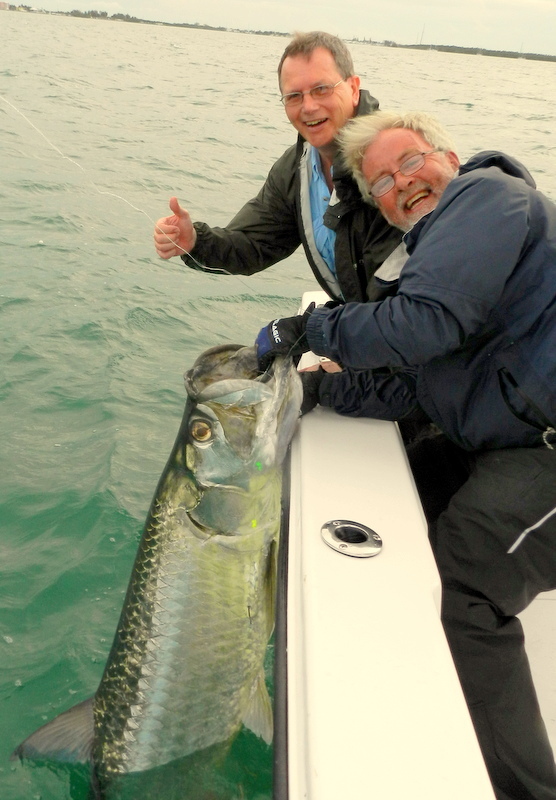 Well the 2013 tarpon season has just been amazing wave after wave of these giant prehistoric fish making their annual migration run through the Florida Keys. 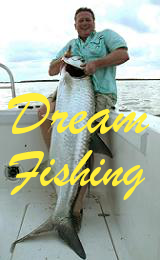 Nearly all anglers on our fishing holidays during April, May and June it is the number one fish on the wish list and this year we have ticked the box many times. This year we have had the biggest fish to the measuring tape coming out at 174 lb we have also had three fish way bigger than that, one so much bigger than our 209 lb fish of a few years ago. Longest fight so far over 2hrs 30 mins , people say give it more drag or some side strain but when a fish has towed my 23 ft boat over 3 miles I can tell you there is nothing more you can do. We have also done far better than the 1 in 5 that is the norm for tarpon we have been much nearer 1 in 3 I have to put that down to the way I fish. Firstly I use crabs instead of the mullet which is used by most guides and even small less than two inch ones have worked. Then we work the crabs mid water not like the mullet which are fished on the top. However I think the number one reason for our good hook up ratio is I still use good old J hooks and this season not one of our fish was deep hooked. 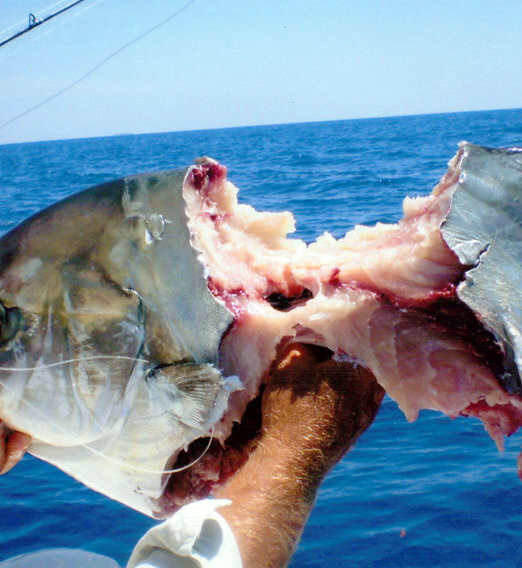 Circle hooks were made tuna which have a very different mouth than tarpon and feed in a very different way. We also hit the fish hard winding all the slack then a very hard strike not the just wait you have to do with circle hook as soon as the tarpon feels the hook it jumps and shakes it head throwing a not set hook. Fishing and methods are very personal but the saying goes if it aint broke don’t fix it and I will be sticking to J hooks. Video clip is a very fine fish that Rodney had, they just look so amazing under water. 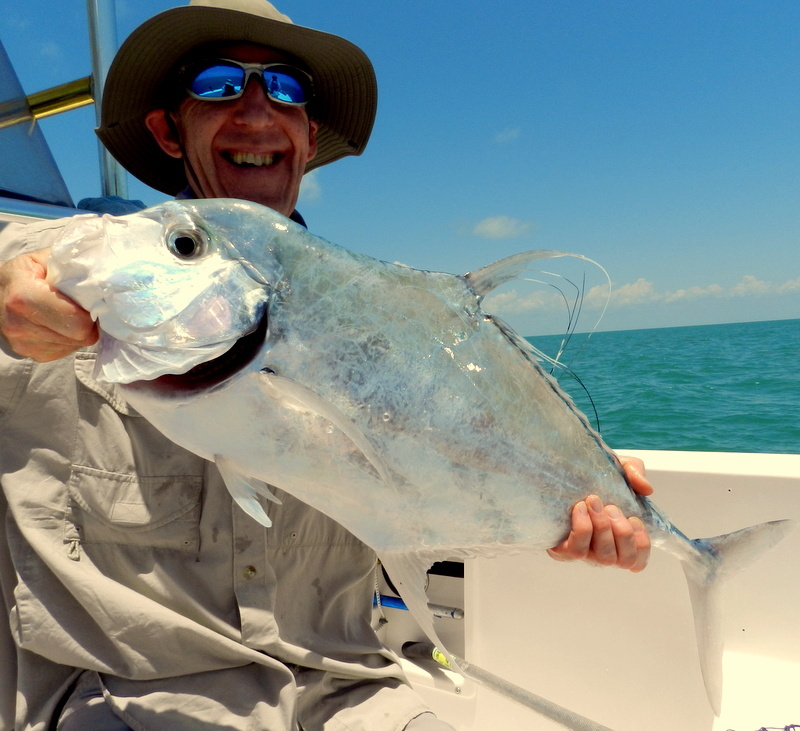 The number two fish on the wish list when people come on our fishing holidays in the Florida Keys is a big permit. The power of these fish is hard to describe but we catch them over the wrecks in about 110 ft of water the take is nearly always near the surface then all hell breaks loose and they use all the water depth many times. The only problem with our permit fishing is the spawning wrecks are some 8 miles into the ocean so the weather gods have to be on your side and the spawn lasts only about three weeks or less. So when at our daily planning meeting it all seemed good for Rodney and George the live wells were filled with small crab and south we went. The normal way is to drift what we all call the bridge wrecks and sight fish or cast light jigs with crabs in the top 30 ft or so. The bridge wrecks were made when the old seven mile bridge turntables were blown up and the spoil was dumped out at sea in the sixties not any more but sure has made a neat fishing area. No luck on the drifts so what we do now is to put the pick down have some fun with the snapper and when you see permit cast. 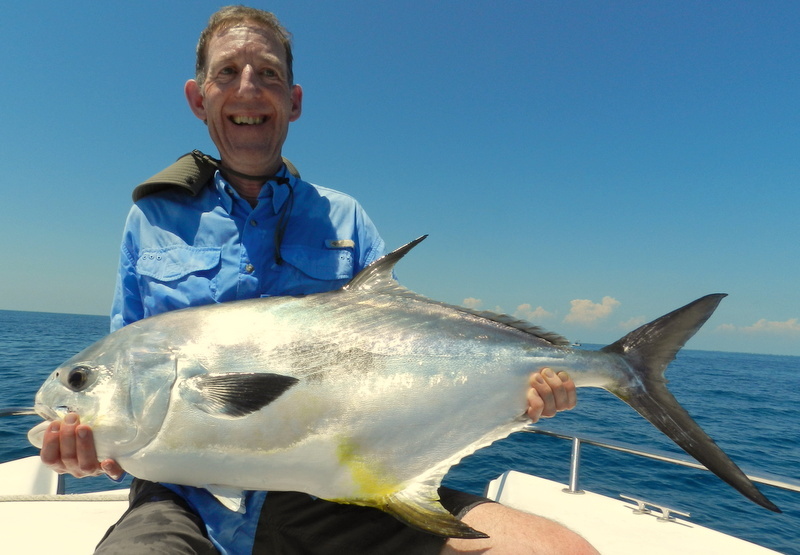 George had the first go and soon it was fish on and what a fight up and down many times and when a big permit wants down there is nothing you can do soon a fine trophy 28 lb permit was in the boat a few pics and back to spawn. Rodney joined in the fun and a nice double was in the boat with the permit smile on his face, George lost an even bigger one, a unstopable run to the wreck a lot bigger than his 28 lb fish. The only problem with the permit spawn when numbers go over 300 fish it is not just the anglers that this attracts the men in the grey coats come to join in the fun. 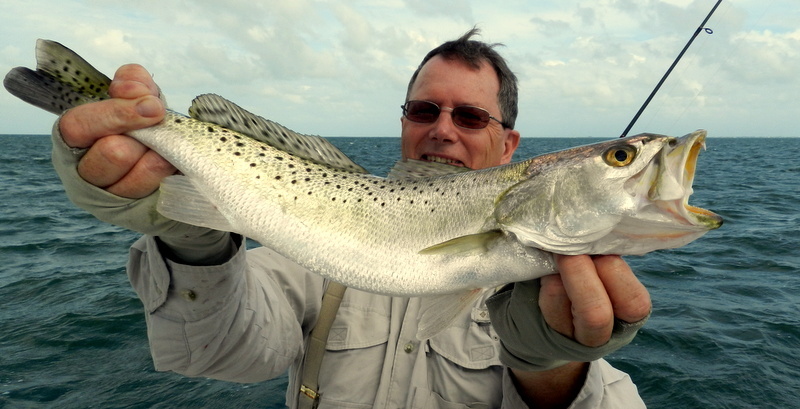 If they are bad all the local guides no say one lost fish per angler then move, also the Florida Keys now has a no take rule on permit during the spawn. This pro active fish control works so well we are very lucky in Florida there are so many other nice fish to eat just enjoy the fight and put spawning fish back not rocket science but it works.